For some time now we had to say goodbye to George A. Romero, the genius who introduced the zombie phenomenon to several generations of spectators. His Tell Me Your Name legacy remains very much alive today, to the point that we continue to receive remakes of his most recognizable films. Today we have to talk about Day of the Dead: Bloodline, a reinterpretation of the famous Day of the Dead. As in it, the action takes place in a bunker where a handful of humans survive the zombie crisis that ravages the world. However, in this installment of the Spanish Hèctor Hernández Vicens the characters and much of the plot change. The story revolves around Zoe (Sophie Skelton), a university student who uses her knowledge of medicine to seek a cure for the zombie plague. Soon he Anna and the Apocalypse discovers Max, one of the first infected (in this movie, they call them “rotten”) that, due to its high level of antibodies, is able to retain part of its human intelligence, so it becomes a kind of “super zombie”, able to plan an attack strategy. Along with these characters coexist other quite flat side, as the military boyfriend of Zoe or his brother Miguel, an obsessed with military discipline and order. 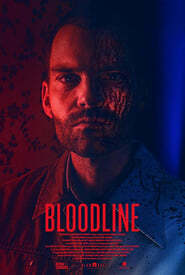 The Night Eats the World In that sense, Day of the Dead: Bloodline clings to the canons of the most classic zombie movies: the monsters are terrible, but some humans are even worse. And of course, each character has very definite nuances of personality.